Is data recovery difficult for you? It's not like that at all. Disk Drill for Windows will help you to recover your files in a matter of minutes. 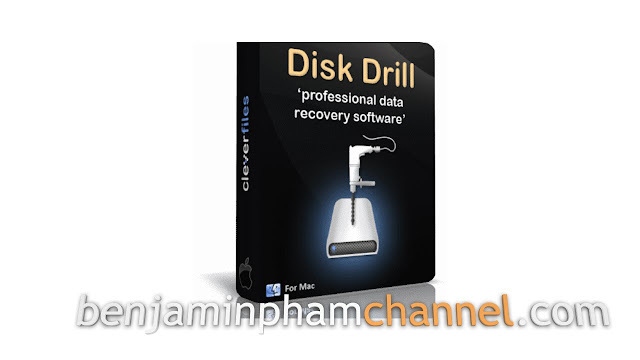 Disk Drill will help you to recover deleted files from hard disks, flash drives, memory cards and other media with HFS, HFS +, FAT16, FAT32, NTFS, EXT3, EXT4 file systems. There are an infinite number of possible situations for data loss. Disk Drill for Windows is useful to you in each of them: accidental cleaning of the recycle bin, virus attack or power failure, partition corruption, unsuccessful download and many others. 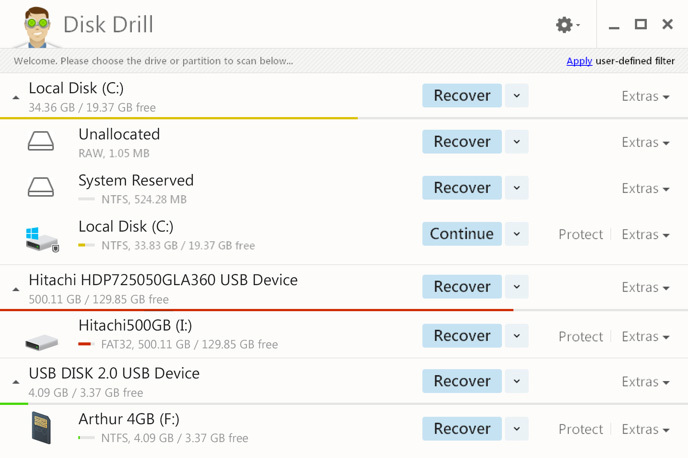 After installation, Disk Drill will scan your devices with lost data and collect all information about files that can be recovered, and also find deleted partitions that can be restored without damage. With the intelligent detection of problem sectors on the disk, you will increase your chances of recovering data. Did you delete the files just a few minutes ago? On Windows, your chances of a successful recovery with Quick Scan are much higher if you act immediately. Usually deleted files are first marked remotely and no longer displayed, but physically still present on the disk. A quick scan per second will find them and show you a complete list of recently deleted files. Disk Drill can also provide a more thorough, but long-lasting scan. Deep scanning will restore lost files and restructure them back depending on the binary structure. The Deep Scan module detects over 200 file types. Disk Drill also protects your data. Activate Recovery Vault even if you have never lost data before. This will protect your files from possible accidental deletion in the future, saving information about the properties of each file and folder that were deleted from your computer.